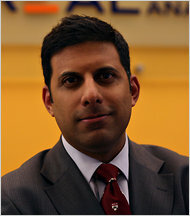 Premier real estate economist, Dr. Sam Chandan, from the Wharton business school and Real Capital Analytics recently debriefed the Sperry Van Ness family on his thoughts moving into 2011 and beyond. Dr. Chandan is well regarded within our ranks and he speaks to us on a quarterly basis, providing us key indicators and trends that give our clients the edge they need to make decisions. Click Here to listen to our recorded webcast and find out more about what buying activity he saw in the month of December, the direction of unemployment, and what asset classes and geographies are going to be off to the races in 2011. Feel free to call our office for more details on his next speech, and to review slides from his presentation.